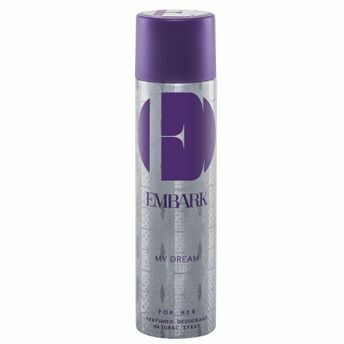 Embark's My Dream For Her delivers the unmistakable embrace of a cherished lover. You take your own path. Never letting the naysayers drag you down. Go big or go home - that's your mantra. And you live by it. Every day. The floral, oriental fragrance of 'My Dream' For Her Eau De Parfum Natural Spray features rare Bulgarian Rose, refreshing Violet and warm Sandalwood, it fills the air with promise and spurs you on to chase everything your heart wants.